358/360 c.i.-powered URC event pays $4,000 to win! 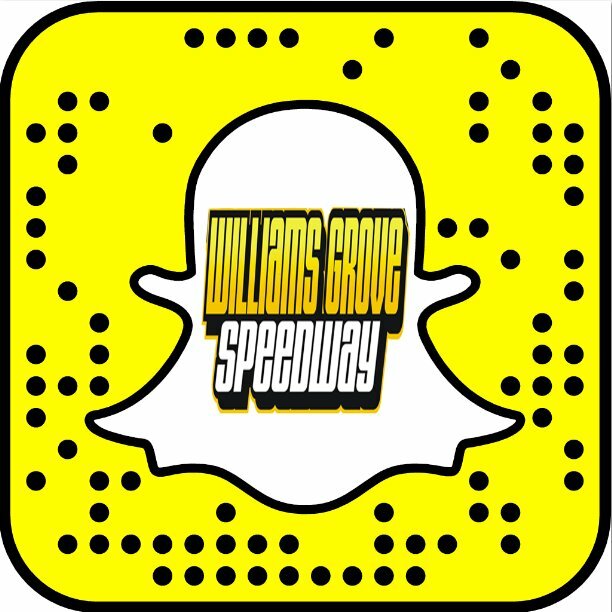 Mechanicsburg –Williams Grove Speedway will host Kids Night this Friday, August 22 with racing action slated for 7:30 pm. Prior to the races and during the early part of the evening, various events and activities will be held for the youth attending the races including an autograph session, games, bicycle races, face painting and a dunk tank. Youth activities will take place in the oval infield with gates opening at 5:30 pm. On the speedway will be a full card of Lawrence Chevrolet 410 sprint car racing along with the rescheduled URC Sprint Rislone Nationals, paying $4,000 to win. Qualifying heat races will be used for both divisions with both competing in 25-lap main events. URC action will include both 360 and 358 c.i.-powered sprints as the regular Williams Grove Tool Shed of America 358s are permitted to compete. Adult general admission for the August 22 program is set at $15 with youth ages 13 – 20 admitted for $8. On tap at the speedway during Labor Day weekend will be a twinbill of racing, taking place on Friday, August 29 and again on Sunday, August 31. Friday’s show will be the annual, prestigious Jack Gunn Memorial for the 410 sprints along with street stock action and fireworks while Sunday’s program will feature the Billy Kimmel Memorial for the 410s and super sportsman plus fireworks. Saturday Series adult admission is JUST $5. 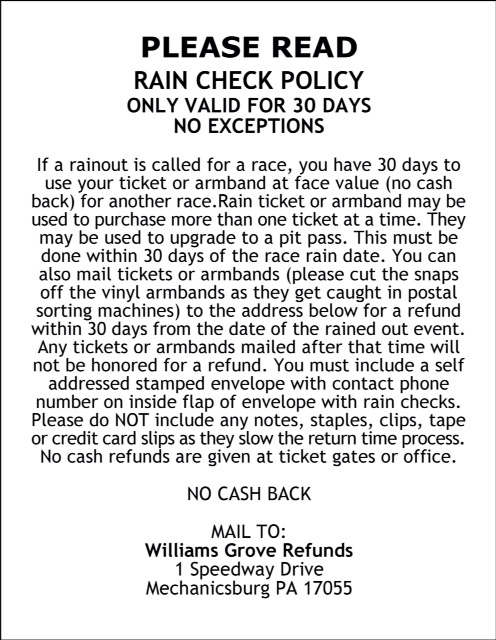 And please remember, kids ages 12 and under are always admitted free at Williams Grove Speedway!